66-68 rue du Faubourg Saint-Jacques (now Place de I’Ile de Sein), Paris, France. Place de I’Ile de Sein, at the intersection of boulevard Arago and rue du Faubourg Saint-Jacques, is the site of the former chapel and second house of the Blessed Sacrament Congregation in Paris. These premises were demolished in 1867 to facilitate construction of the boulevard Arago. After the first Paris community of the Blessed Sacrament Congregation received notice to vacate its premises in Villa Chateaubriand at 114 rue d’Enfer (now 88 avenue Denfert-Rochereau), a property owned by the Archdiocese of Paris at 68 rue du Faubourg Saint-Jacques was purchased for 70,000 francs in February 1858. The new location was less than a kilometre away from the rue d’Enfer address. Moving there was ‘like going from Bethlehem to Nazareth’, Eymard observed in his typically perceptive way. If Bethlehem was their birthplace, it was in Nazareth that they would grow. Like the Villa Chateaubriand, Faubourg Saint-Jacques had been neglected, but it was a large site with two buildings and gardens. The place had possibilities. ‘The chapel of miracles’, was how Eymard would eventually describe Faubourg Saint-Jacques. Eymard blessed the chapel on Easter Sunday, 4 April 1858. He had always envisaged a Congregation that was both contemplative and apostolic, and at Faubourg Saint-Jacques he was able to begin a wider mission to the poor and the working classes that lived in this part of Paris. He started what he called the ‘Work of the First Communion of Adults’ and he began to minister to the children or ‘ragpickers’ from the city ghettos. The ragpickers were the lowest of the poor, and Eymard saw the challenge of raising them up as a ‘beautiful mission’. To assist him in this work, he sought and welcomed the assistance of lay people. He did not wait for vocations because he knew that God’s work was there to be done. And, as the work progressed, the vocations did come. By April 1858, the community at Faubourg Saint-Jacques had grown to eight men (four priests and four brothers). By the end of 1858, their numbers had risen to twelve. Baptism, communion and confirmation were the first spiritual fruits of this mission. For the participants, there were also material benefits as the experience became an upward step, signified by the new set of clothes that that every child received for his or her First Communion. To provide ongoing material assistance, Eymard established a workers’ club which offered food, drink and fellowship. He provided additional spiritual assistance through regular retreats. To obtain funds for these activities, Eymard became a beggar himself by preaching and pleading for aid from the richer parishes in Paris. Faubourg Saint-Jacques is significant as the place where, on 2 March 1859, Eymard knelt before the exposed Blessed Sacrament and, according to a formula he had composed, offered himself to ‘the perpetual service of Our Lord in the Blessed Sacrament’. His fellow priests Raymond De Cuers and Armand Champion also made a similar ‘profession’ of vows. 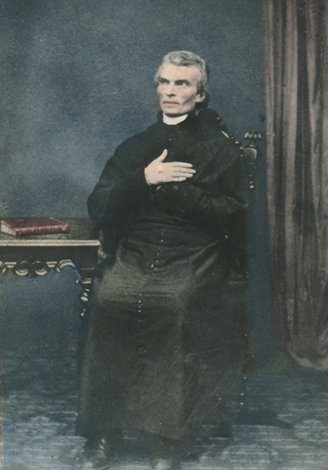 At Faubourg Saint-Jacques in December 1858, Eymard first sought papal approval for the Blessed Sacrament Congregation, which was finally granted in 1863. Prior to that time the Congregation was operating with the diocesan approval of the Archdiocese of Paris. 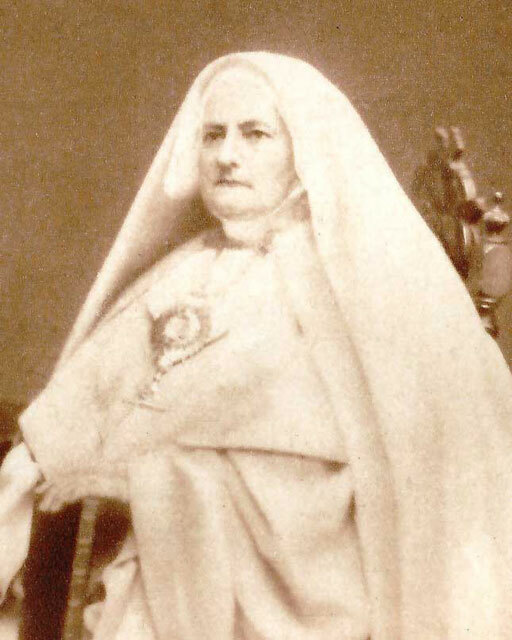 During 1858, Eymard also laid the groundwork for the establishment of a Eucharistic congregation for women, the Servants of the Blessed Sacrament, when he invited Marguerite Guillot, her close companions, and the members of a Ladies Adoration Society from Toulon to combine as a community in the building at 66 Faubourg Saint-Jacques, adjacent to the chapel and house used by Eymard’s men at 68 Faubourg Saint-Jacques. He began writing their spiritual rule of life. The women who would form the pioneer group of the Servants of the Blessed Sacrament began community life at 66 Faubourg Saint-Jacques on 2 July 1858. Their house and oratory was blessed by Eymard on 4 July 1858. Faubourg Saint-Jacques is thus significant as a foundation place of the Servants of the Blessed Sacrament, whose members later made their first profession of religious vows during a retreat given by Eymard in July 1859. Faubourg Saint-Jacques is significant as the launching place for the expansion of the Blessed Sacrament Congregation to new communities elsewhere. Raymond De Cuers established a second community at Marseille in November 1859. A third community was inaugurated at Angers in December 1862. By March 1863, there were twenty eight men living in the Faubourg Saint-Jacques community. Nine of these were priests and the rest were deacons, students and aspirants of various kinds. Among those who had come and gone was the young sculptor Auguste Rodin (1840-1917), who had entered Faubourg Saint-Jacques as Brother Augustin in late 1862. Rodin left the Congregation five months later, after Eymard had encouraged him to leave and pursue his true vocation as an artist, for which the world may be eternally grateful. There were thirty-nine members of the Blessed Sacrament Congregation by 1866. Eymard began to look for a separate novitiate site, which was eventually found at Saint-Maurice-Montcouronne in the Diocese of Versailles. He was also obliged to find a replacement site for Faubourg Saint-Jacques, which was in the way of the redevelopment of Paris. 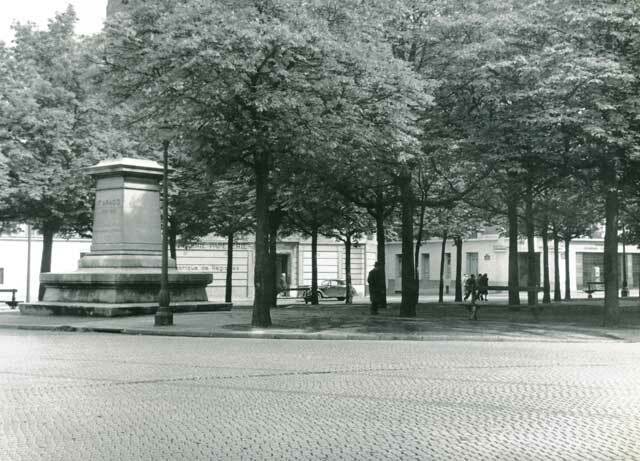 In March 1867, the Faubourg Saint-Jacques property was compulsorily acquired for demolition to facilitate construction of the boulevard Arago. A jury awarded the Congregation 350,000 francs in compensation. 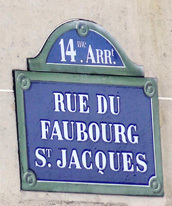 On Palm Sunday, 14 April 1867, Faubourg Saint-Jacques was vacated and the entire Paris community transferred to a former boarding house at 112 boulevard du Montparnasse. Faubourg Saint-Jacques was demolished soon after that time.